07 US Women's Conference - Treasures Unlimited! 06 US World Conference - You've Got It! "You've Got It!" was the theme of this year's World Conference. This joyous teaching reverberated throughout the week into hearts and now spreads into the world. "You've got what?" you may ask. An antique treasure chest brimming with jewels, pearls and precious gold coins served as a visual for discovering what treasure is ours in Christ. Rich teaching revealed what we've got: the unconditional, everlasting love of God; His righteousness forever established in our lives; healing for our spirit, soul and body; and heaven's resources to accomplish His mission for our lives. We've got all that and one more magnetic element that makes Faith Ministries International Network remarkable: we've got family! Teaching abounds in books, on TV or radio. But the loving human touch of genuine relationship is the rare treasure that sets apart our network. This golden ribbon of tangible love and a sense of belonging ties together lives from many ministries, nations and cultures into a "Jesus-with-skin-on" package, a gift we turn around and offer to the world. 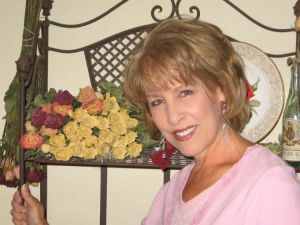 Claudia Porter, FMIN Partner, motivational speaker and author, lives in Morrison, Colorado, USA, with her husband, Bruce. Together they are pastors and also directors of Torch Grab Ministries, a ministry existing to reach out and bring comfort and compassion to people in crisis.